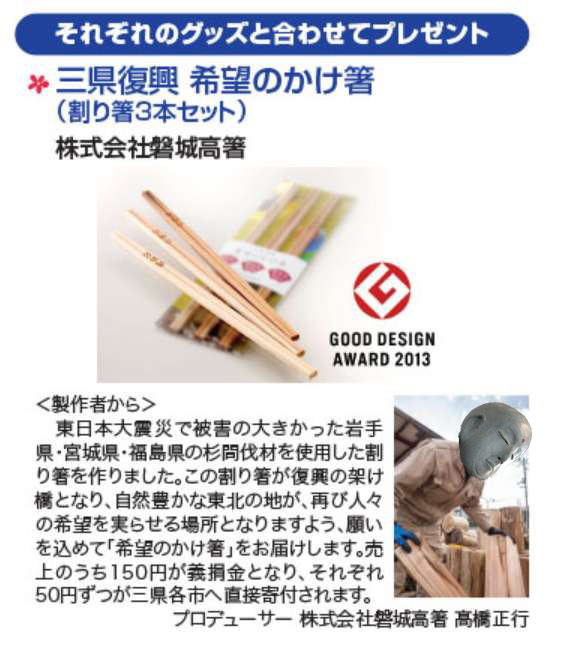 TV Japan - Tōhoku earthquake reconstruction assistance campaign! A good friend of mine is participating a campaign for people living in United States and Canada by providing his products for presents of the campaign. 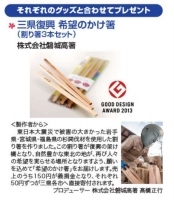 He produces a chop sticks made of Japanese cedar. His beautiful chop sticks are presents for this event, no commitment is necessary but to answer a few questions and you can apply for this. Please visit.